Postland signal box and one of the two crossing gates. This photo was taken while Great Eastern and Great Norther Joint Line (GN&GEJR) to Spalding line from March was open. 33 years after the line closed, Postland box was still standing, Just ! Postland station is on the other side of the road and is now someones home. 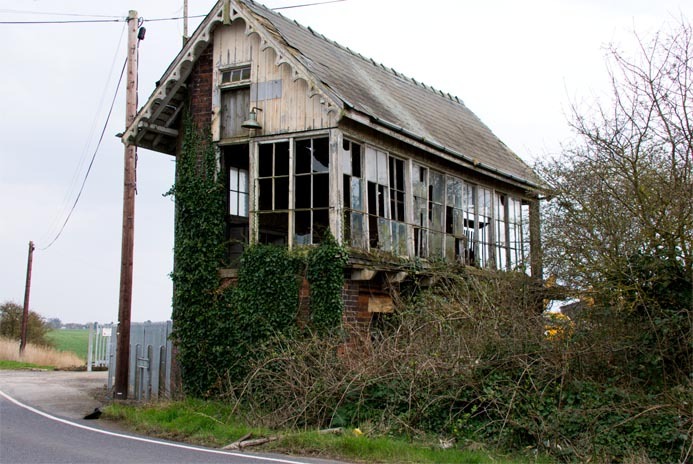 The station building is in good order and is the same type of building as French Drove station. 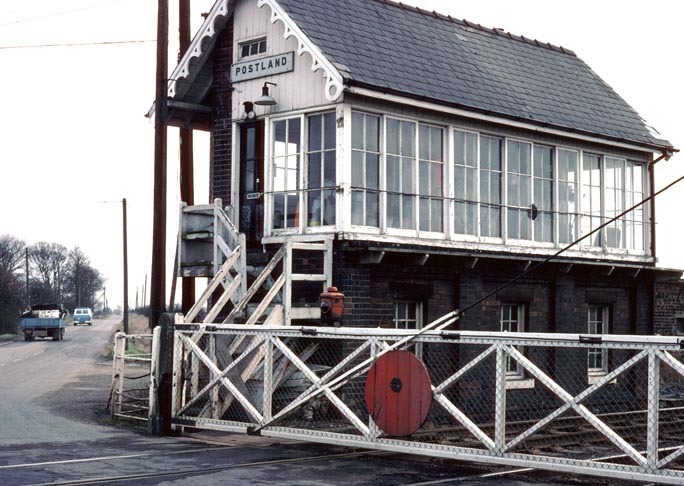 The station at Postland and box are in the middle of no where and about 3 miles from large village of Crowland which is why it was built here I think. There are many farms around the station in the fens, and this must have been the main traffic for the goods yard here.